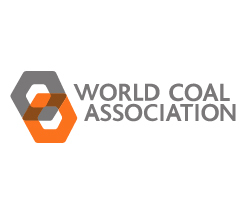 May 16, 2018 - The World Coal Association (WCA) is holding a one-day conference in Washington DC with the theme “Accelerating Deployment of Low Emission Coal Technology in the US and Globally”. The conference, which is being today, will explore the potential of cleaner coal technologies, including carbon capture, use and storage, and consider the necessary drivers to encourage their deployment. The event will be held at the National Press Club from 9:00 am – 5:00 pm. The conference will hear from leading voices in government, industry and key global institutions including US Senators, the Department of Energy, the Center for Climate and Energy Solutions, the Clean Air Task Force and the U.S. Trade and Development Agency, among many others. The World Coal Association is the global industry association for coal, formed of coal producers, allied companies and stakeholders. The WCA works to demonstrate and gain acceptance for the fundamental role coal plays in achieving a sustainable and lower emission energy future.